Ani Liu is an experimental artist working at the intersection of art & science. A transdisciplinary thinker, she creates research-based art that explores the social, cultural & emotional implications of emerging technologies. Ani's work has been presented internationally, including the Boston Museum of Fine Arts, the Asian Art Museum, Queens Biennial, MIT Museum, MIT Media Lab, Mana Contemporary, Harvard University, and Shenzhen Design Society. 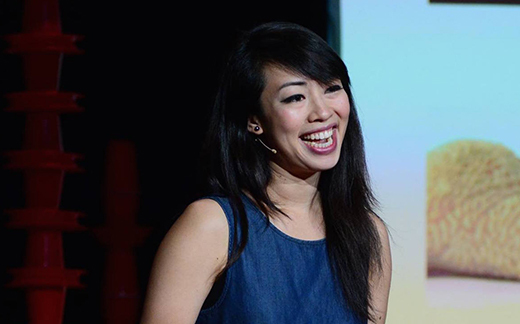 Her work has been featured on National Geographic, VICE, Mashable, Gizmodo, LIFE (China), TED, Core77, PCMag, FOX and WIRED. She has taught at Harvard and is an alum of MIT Media Lab. Ani continually seeks to discover the unexpected, through playful experimentation, intuition, and speculative storytelling. Her studio is based in New York City.